You are here: Home / Play it Forward! Realwheels has launched Play it Forward!, a new mentorship program for emerging artists with disabilities. In 2014, we organized a successful fundraiser and crowdfunding campaign in support of Play it Forward!, which showcased some brilliant talent, and raised awareness about the void of traditional performing arts training for emerging artists in the disability community. 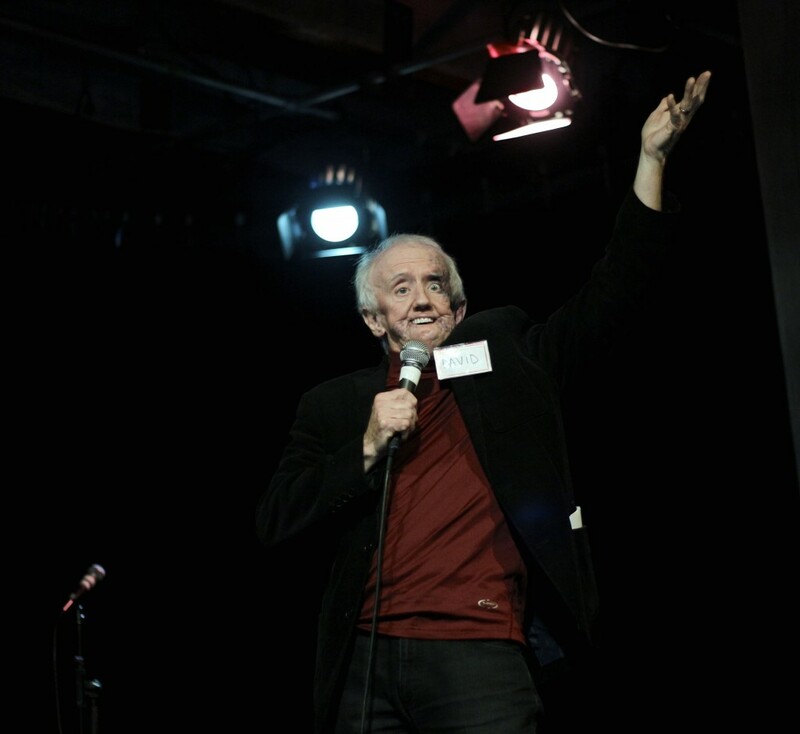 David Roche, MC of Play it Forward! Play it Forward! will provide mentoring and real, theatre-based experiences to emerging artists with disabilities. Through Play it Forward!, we’re nurturing a healthy and inclusive community, one that will continue to provide audiences with a better understanding of the disability experience, and lead to a healthier society for us all. Watch the Youtube video below to learn more! Play it Forward! 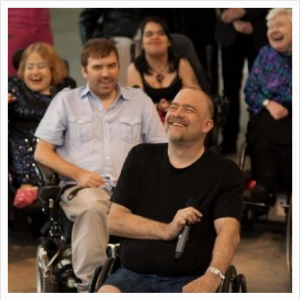 is up and running and we are dedicated to creating opportunities for emerging artists in the disability community to be mentored by able-bodied professionals and professionals with disabilities on all Realwheels projects. Make sure to check back for updates on Play it Forward! mentorships and contact us if you’d like to get involved! Claire Weeks M.D. and Peter Wing M.D. Donors who contributed to Play it Forward! … and to everyone who continues to support Play it Forward!